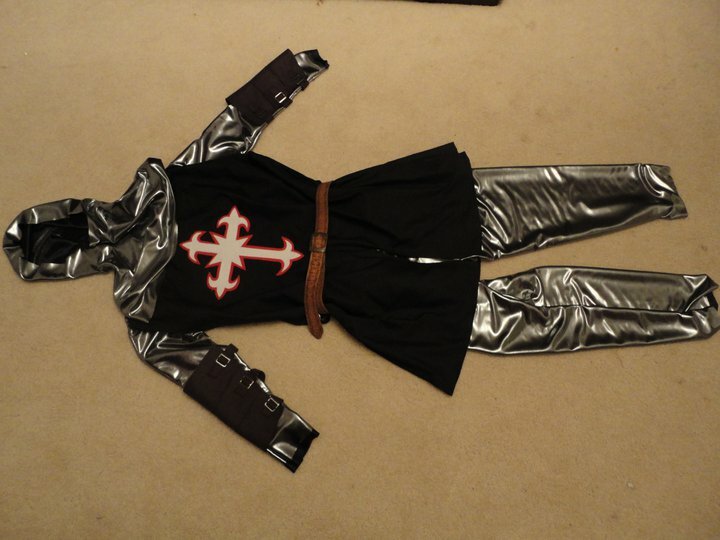 My son, Mr 13, decided that for Medieval day at school Mum could sew him a complete "Assassin's Creed" costume... well, Mum may be handy with a sewing machine, but not that clever, so we went for a crusader instead... but I did make vambraces for him (didn't know what they were until I made this costume!) - they are the protective thingys for the lower arms during battle! 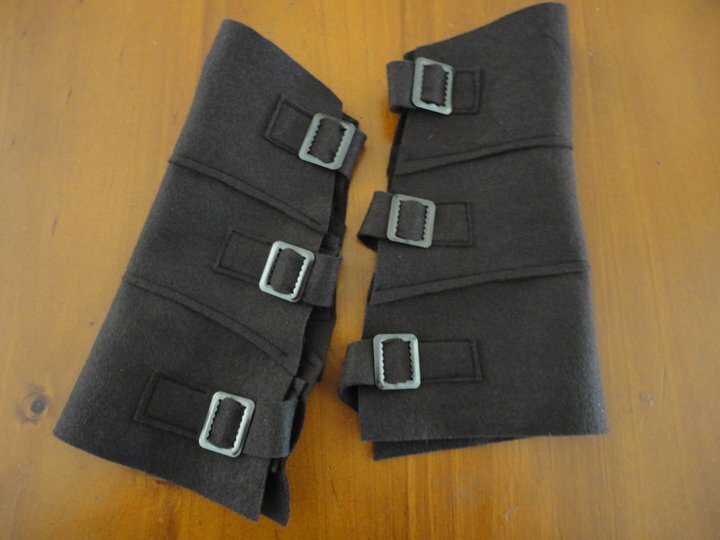 Mine were made from felt, with simple sewn on buckles and straps and elastic inside to hold them to his arms. The costume I was going to just try and design it myself but ended up buying a fantastic mediavel costume pattern at the fabric store. Much easier! It turned out great and he was so proud of it. They had a day of battles, medieval food and games - how fun!